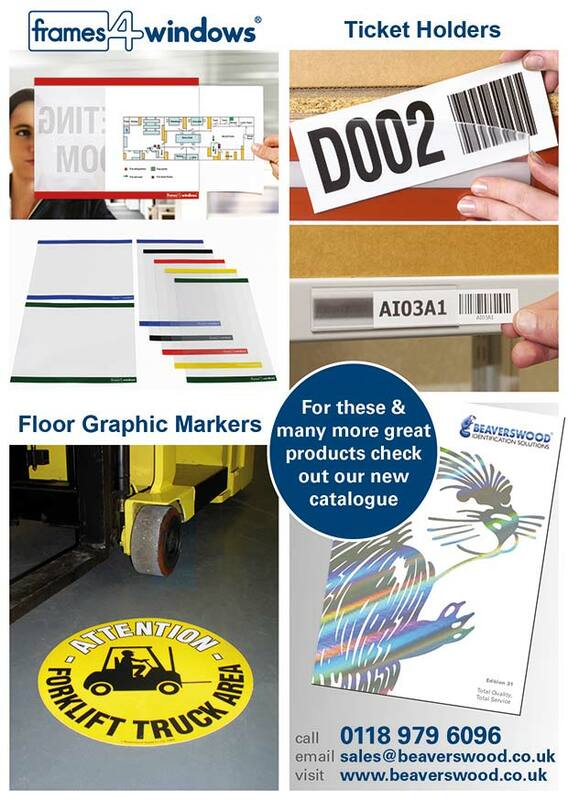 Beaverswood one of Europe’s leading suppliers of labelling and identification products are pleased to announce the launch of their new catalogue. The stylish perfect bound catalogue includes many new products to offer the user an extensive portfolio of products. Many of the core product ranges have been extended together with new products added such as new frames4windows that are ideal for use on glass and can be re-used over and over again. Boards4frames is another product that helps promote those important messages by creating a colourful information centre, plus many more additions. Beaverswood’s belief is that the management of any warehouse needs an effective labelling and identification system, stock needs to be identified and in its rightful place in order to maximise order picking and minimise costly errors.Over the last few years there has been a significant growth in company’s adopting 5S and LEAN manufacturing policy’s, The 5S focus is on Sort, Set in order, Shine, Standardise and Sustain. Companies adopting these policies achieve higher operational results by sustaining a productive work environment, reduce waste, help lower accidents and lower unplanned downtime. Because of this many of Beaverswood’s product range now focus on colour, the colour can relate to the action that is applicable to the documentation displayed and will focus the mind on the importance of that information. These products can be purchased through many industrial suppliers for further details on the nearest supplier and to obtain more information on labeling and identification products contact Beaverswood.